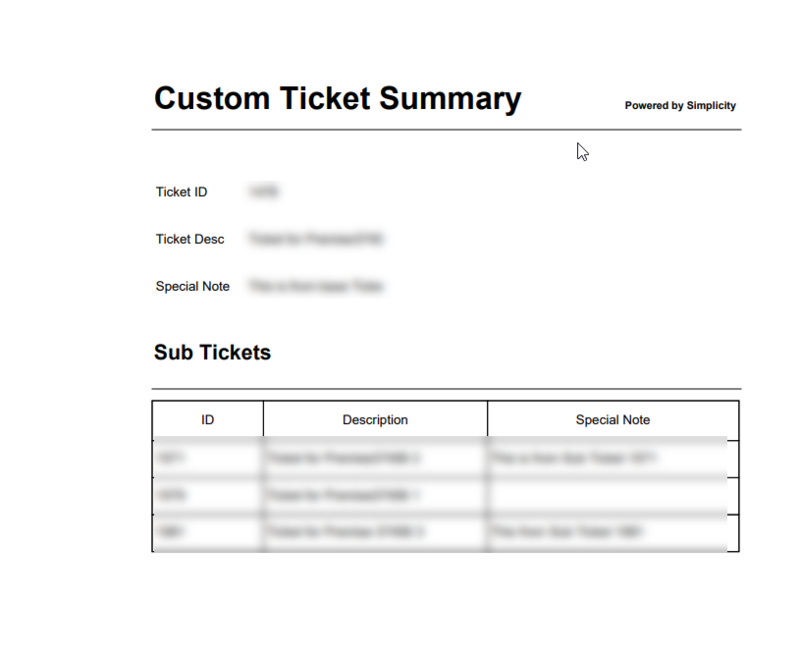 The objective of this blog is to explain how can we create Custom PDF summary for Tickets & It’s Sub Tickets with extension fields. Create a Custom BO to retrieve Tickets & It’s Sub Tickets. 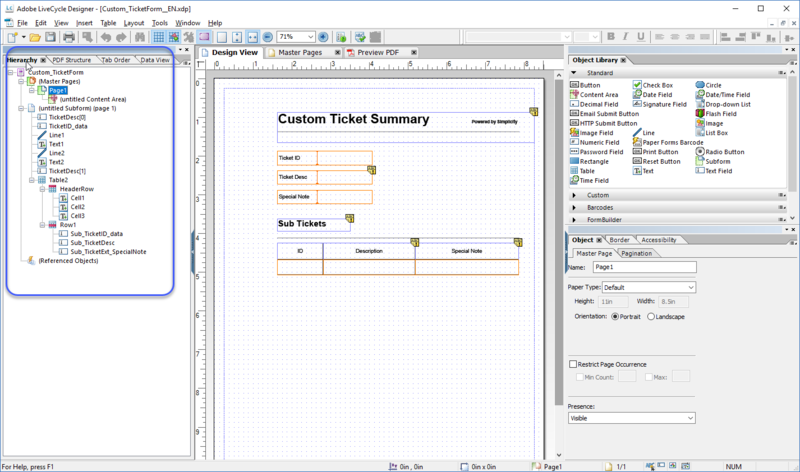 Include the PDF generation option to standard Ticket UI. 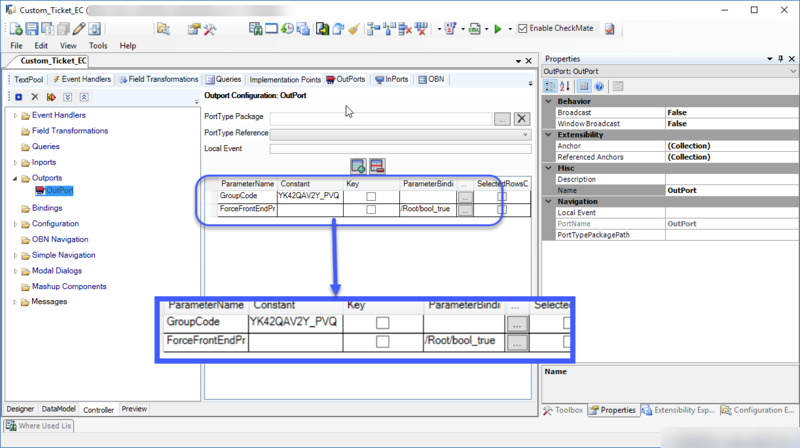 Create a solution in PDI. 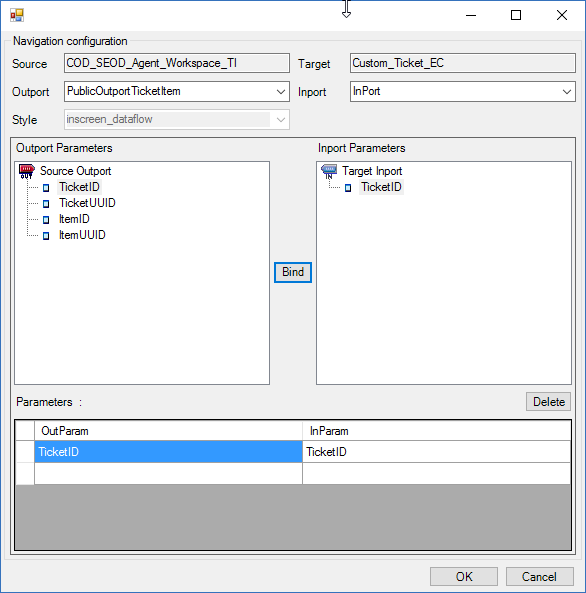 Add extension Fields to Ticket UI through PDI (C4C SDK). Populate data for the new Custom BO. Create a Embedded Component for Custom BO. Include “Preview Summary” Button to newly added EC for generating PDF. Below will be our targeted Sub ticket facet in Ticket TI with “Preview Summary” button to generate PDF summary. 2. 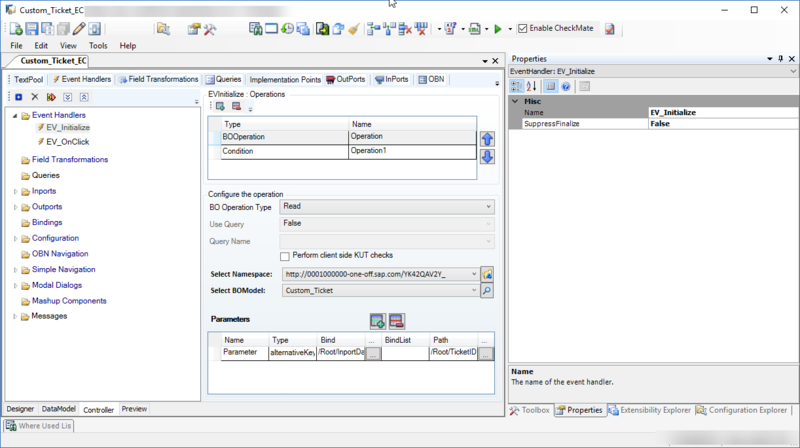 Add extension Fields to Ticket UI through PDI (C4C SDK). 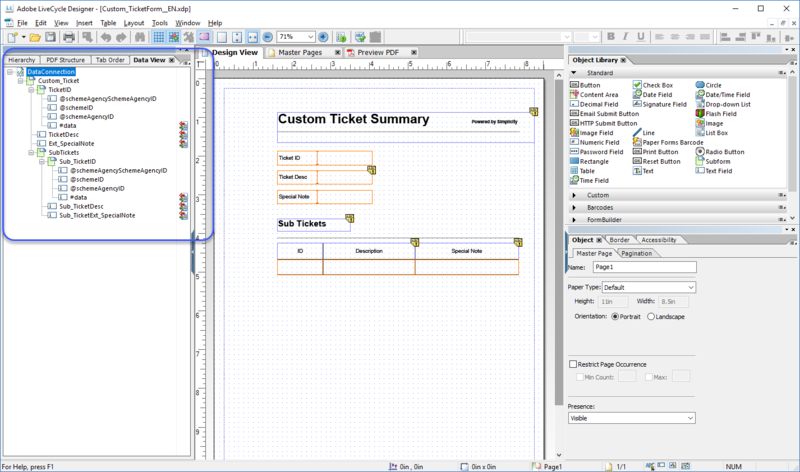 We will add an extension field called “Ext_SpecialNote” to Ticket Header, using PDI logic. 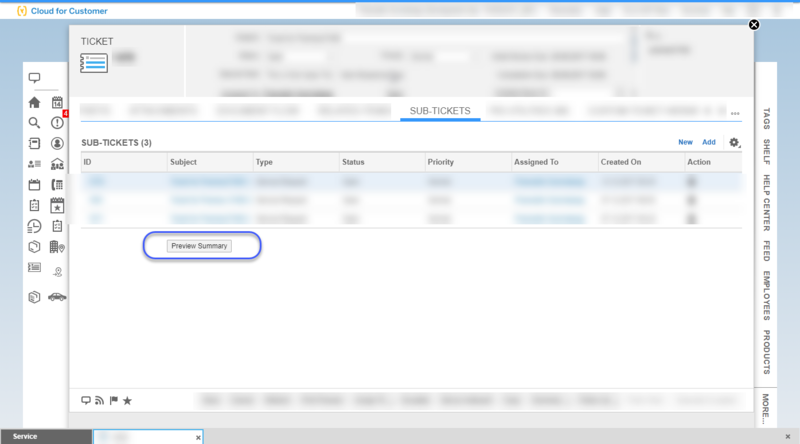 Create a custom BO to retrieve Tickets and Sub Tickets and it’s associated Extension fields. The custom BO should have the same set of elements at Root & Sub Node level, which needed in the PDF template. For this add transient elements to the custom BO(To hold the standard information). 4. Populate data for the new Custom BO. Now we have the Custom BO and elements ready, we need to fill data into it. For this we need to implement After Modify Event at root level. Below will be the code you can add to retrieve Tickets and It’s associated Sub tickets. Navigate to Custom BO and click on “Create Print Form“. This first step to create the PDF template and it’s data source. 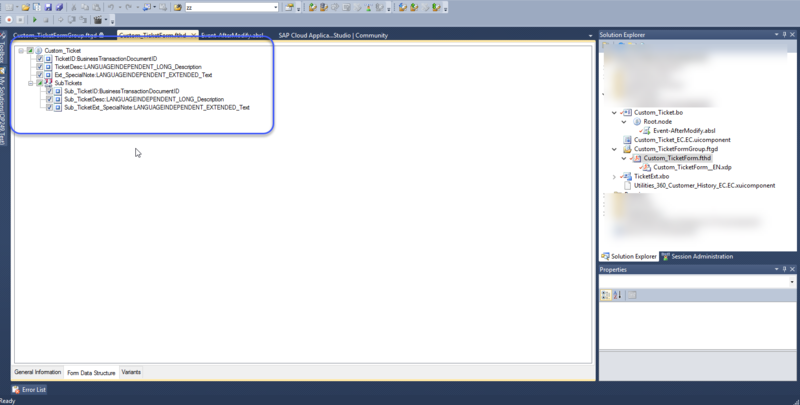 The Form Template Group Header is generated (with a Unique ID) along with the “*.xdp” file. If you open “*.ftgd” file you can find the unique form group code. 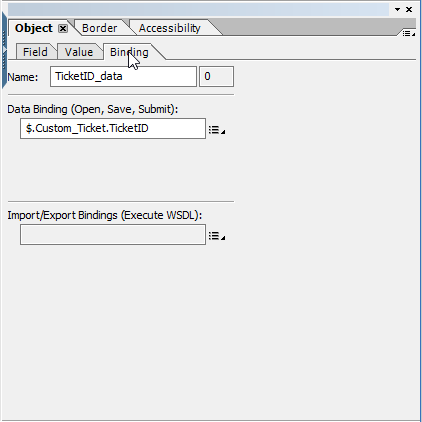 The Form Interface structure includes all the fields from the BO including the Sub-Nodes. You can select fields from the Form Interface for Form Template Creation. Open “*.xdp” file (which will launch the form in adobe livecycle designer) – One can copy the content of an existing form template (“*.xdp” file) to reduce the effort in designing the template again. Use Adobe LIVECYCLE Designer to create a Adobe Form Template and to bind the field. 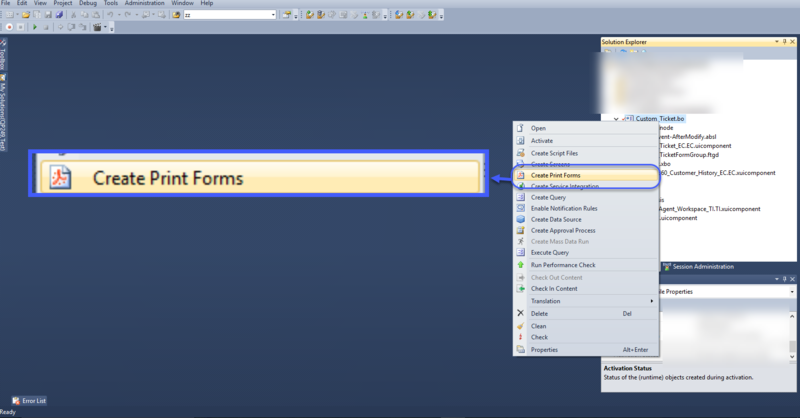 Data View – This view show the hierarchy of information being exposed/available to the form template. Hierarchy – This will give the details of PDF template’s fields and tables. Once form is designed, Save and Activate the form. 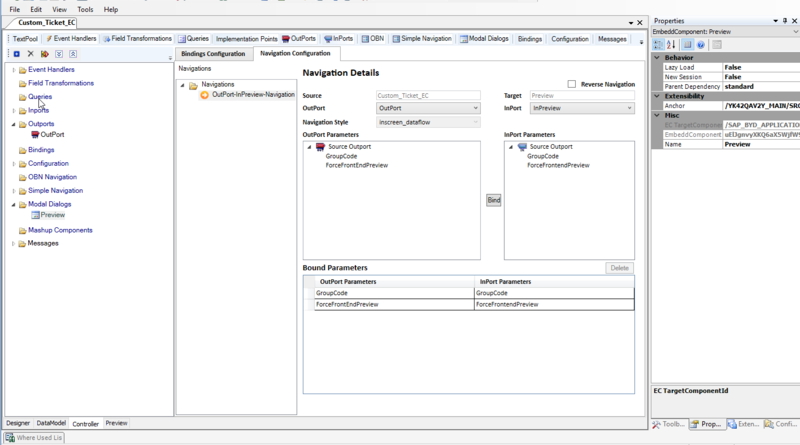 Click on Check-In against the “*.xdp” file in C4C SDK to merge the changes back into Studio – You also need deploy the business configuration. 6. Create a Embedded Component for Custom BO. 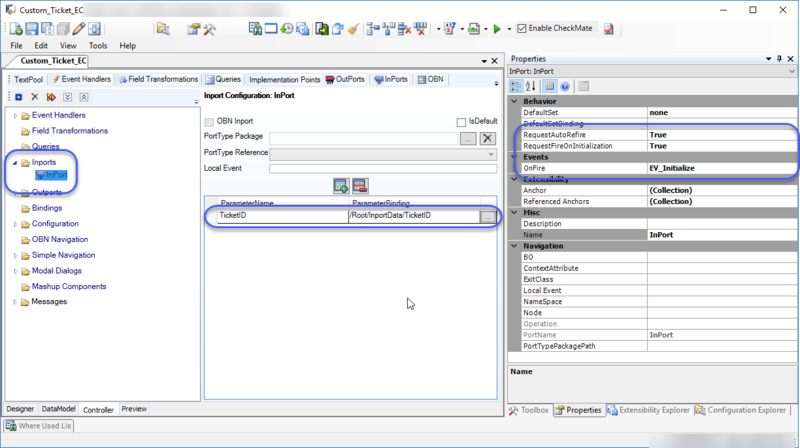 Create an Embedded Component with an Inport, with Ticket ID as the incoming parameter. 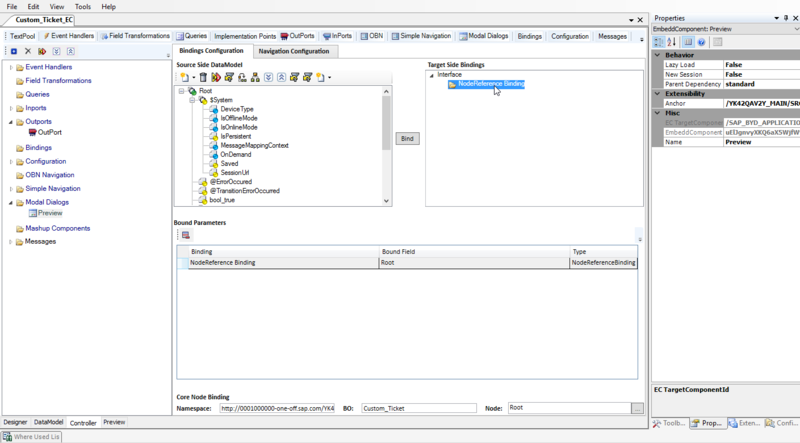 Configure an event to be fired after the trigger of inport. Configure “EV_Initialize” to read the data for passed Ticket ID and it’s associated Sub tickets. 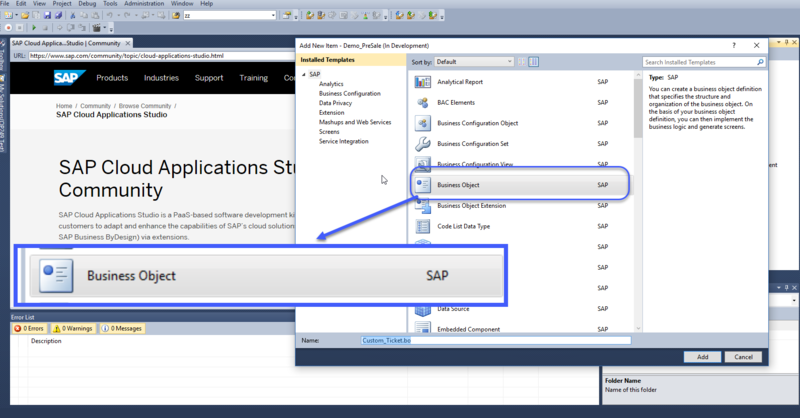 Configure the below operations to set the context. First operation should be ‘BO Read’, which initially checks if the data has already been buffered in Custom BO? If yes, then it avoids re-reading the data back into BO. 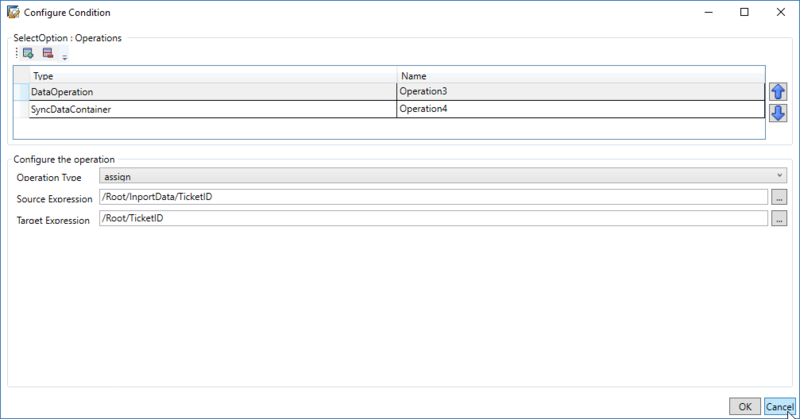 Second operation should be ‘Condition’, which checks if the attribute ‘ROOT/TICKETID’ gets a result from READ Operation, if NO (blank) then it create an instance. If the Condition is met, i.e. /ROOT/TICKETID= “ “, then :- Do a Data Operation where assign incoming InportData/TicketID to ROOT/TicketID and do a exclusive SyncContainer operation. 7. Include Preview Summary Button to newly added EC for generating PDF. Create a button in the same Embedded Component to launch the custom preview form for Ticket & Sub Tickets. 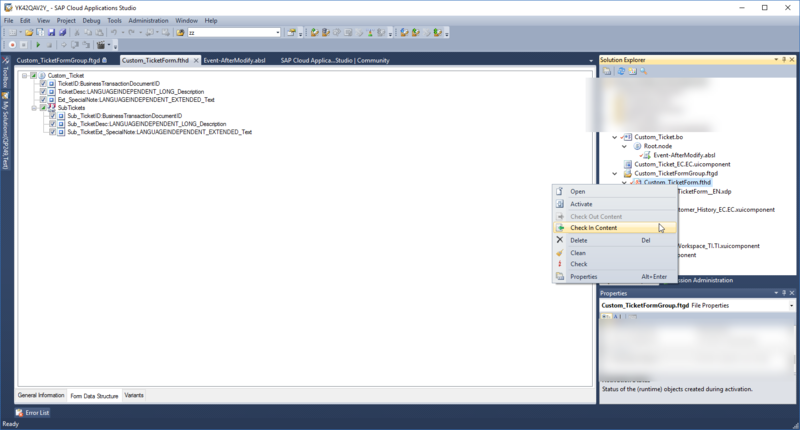 Create the Event Handler to trigger outport and assign this Event Handler to “ON CLICK” properties of the Button – Add FireOutport operation of previously added Outport. And do the Outport-Inport Binding. With above enhancement:- Ticket->Sub ticket will look as shown below. If you click on the button “Preview Summary” It will generate the below PDF. I did the same but I think there is a problem in Preview compionent now, It says invalid or incoorect Embedded component preview.